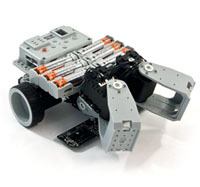 Robot algorithms for each stage (and its phases) are explained. 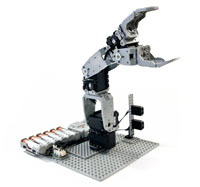 Robot follows the order of sequentially inputted commands. Write '가' and '어' when augmented with a pen. The robot follows a pre-determined path and completes a mission. Obstacles at certain locations the robot moves them at 2 specific locations from start the robot follows a determined path until finishing. 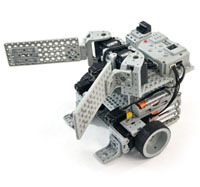 While following a path if the robot encounters an obstacle it will move it. 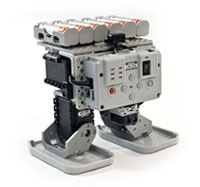 if the robot detects obstacles over boxes via its IR sensors it moves them to specified locations. 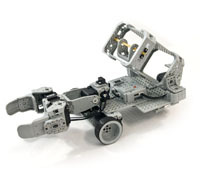 the remote control can control forward, reverse, left and right turns, left and right pivots, grab, lift and lower objects. Detects a cup with the IR sensors and move it to a specified location. 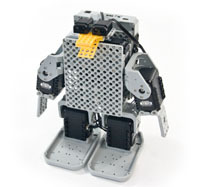 An example robot that moves 2 small cups and 2 big cups to the designated position regardless of the order of dection. Robot detects obstacles and avoids it with its IR sensors. 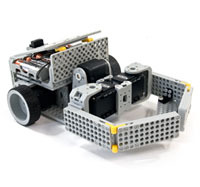 The robot moves forwards and turns left; it shifts to the right if the left sensors detects an obstacle; shifts to the left if the right sensor detects an obstacle; reverses if the center sensor detects an obstacle. 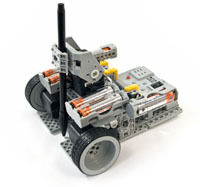 - Algorithm Robot detects obstacles and avoids it with its IR sensors. 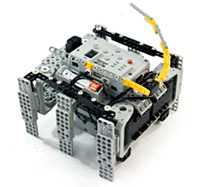 The robot shifts to the right if the left sensors detects an obstacle; shifts to the left if the right sensor detects an obstacle; it speeds up when the upper sensor detects a hand. Robot remembers the order of input commands and performs in the same input order. Robot remembers lifting of left and right arms and clapping and repeats the motions in the same order. Slingshot robot follows input commands for clamping and launching.